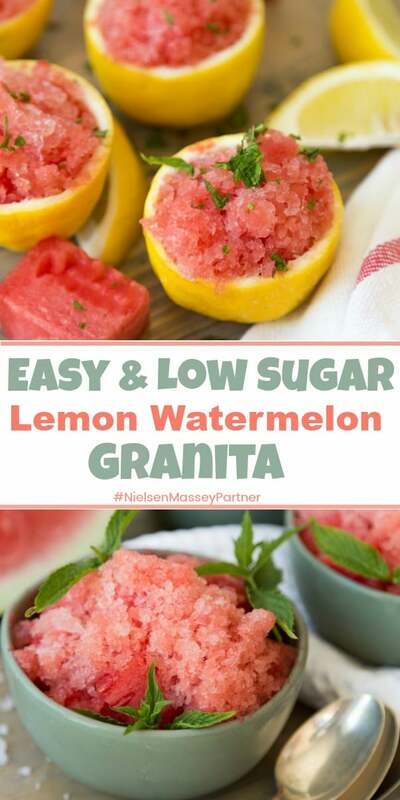 We’ve partnered with Nielsen-Massey Vanillas (sponsored post),the only extracts we ever use, to bring you this incredibly refreshing and delicious lemon watermelon granita recipe. 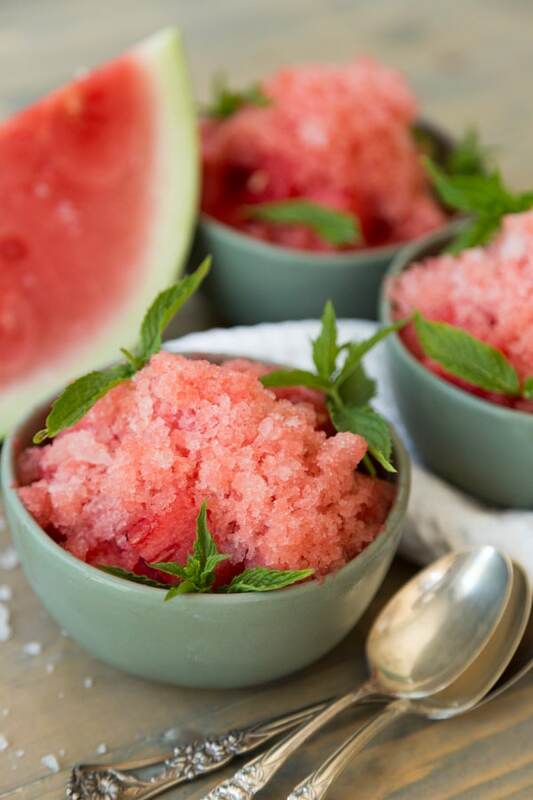 This super simple frozen treat is made with fresh watermelon and minimal sugar. You’re going to love it! Do you remember those sickeningly sweet, artificially colored snow cones that were sold at all carnivals and street fairs when we were kids? They were great. I preferred the cherry flavored ones because they made my lips and tongue bright red. It was the only “lipstick” I was allowed to wear until I was a teenager. Most of the boys I knew chose the blue ones, because who doesn’t want to look like a smurf? Now that I’m older and wiser, I stay away from fake colors in my food, and I’m not a fan of overly sweet things. However, I do love shaved ice when the temperature soars. That’s why I’m so excited to share this wonderful granita recipe with you. 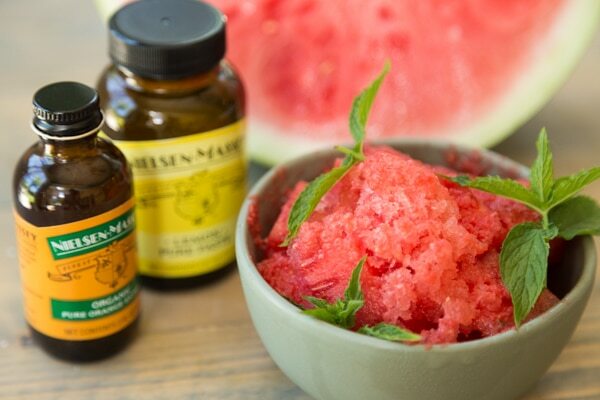 When Nielsen-Massey asked Alex and me to come up with a summer dessert that featured their Pure Lemon Paste and Organic Pure Orange Extract, we immediately thought of watermelon. We love watermelon juice with lemon after a tough work out. It’s so hydrating and cooling. 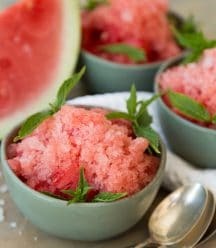 And, because this summer has been sizzling hot, we thought that an icy watermelon and citrus granita would be the perfect dessert. 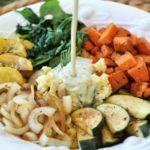 You don’t have to cook it, you only need a blender, a freezer, and a fork to make it, and it can be served up casual or fancy. Smart, right? 4 cups of cubed watermelon. Make sure it’s a sweet melon for best results. A mealy and flavorless watermelon is not going to work for this. 2 tablespoons of Nielsen-Massey Pure Lemon Paste. We only recommend this brand. It’s what we use and we totally stand by it. Nielsen-Massey is a family owned company that takes great pride in using only the highest quality ingredients, they are committed to fare trade, sustainability, taking care of the farmers who grow the crops for their products, and using as few ingredients as possible in all of their extracts. 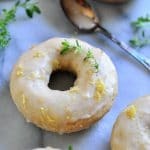 The lemon paste is made from the highest quality lemons from California and is so bright and delicious. It’s also sweet, so it really reduces the amount of sugar in the recipe. If you look at most granita recipes, you’ll find that many of them use up to 1 cup of sugar to sweeten it. No bueno! 1/2 teaspoon of Nielsen-Massey Pure Organic Orange Extract. This extract is made from organic oranges from Florida and also has a hint of sweet West Indies orange oil. 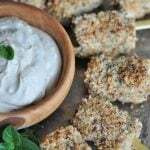 It gives the recipe a slightly bitter note, which balances the sweet and tangy flavors. Those are the only ingredients you’ll need. Three simple, pure and lovely ingredients. A blender is required to turn the watermelon into juice and to combine the lemon paste and orange extract. A 9-inch bread pan or deep dish for freezing the mixture. 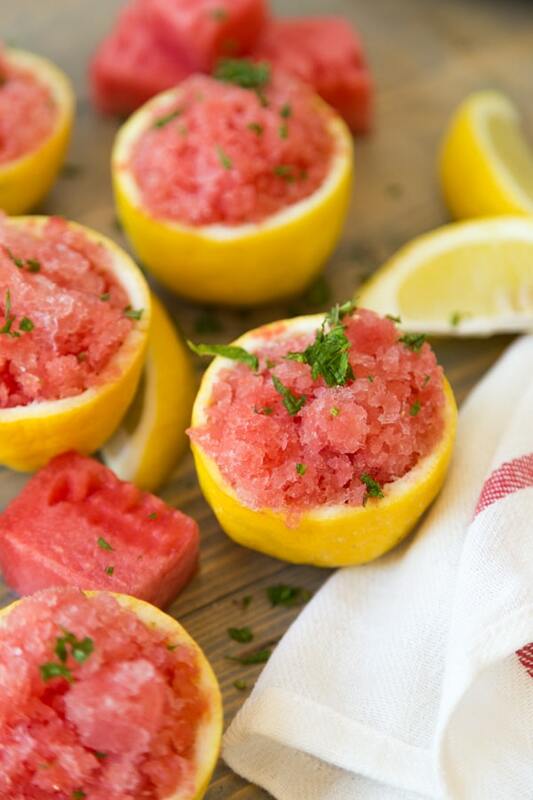 A fork to scrape the frozen citrus watermelon into a light and airy treat. It couldn’t be easier. Three simple steps is all it takes to make this refreshing frozen dessert. First – Blend the cubed watermelon, pure lemon paste and pure organic orange extract in a blender until the fruit turns into juice. Second – Pour the juice into a 9-inch bread pan or a deep dish and put it in the freezer until it’s completely frozen. This takes at least 4 hours, probably more. It’s best to freeze overnight. Also, many recipes will tell you to scrape the mixture every hour or two. It’s not necessary, and who has time for that? Third – Take a strong fork and scrape the frozen watermelon juice with the tines until it looks like light and flaky ice crystals. You can put it back in the freezer for a while before serving if it starts to melt. 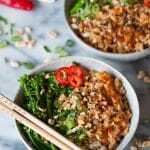 You can serve it in a bowl, in a glass or in a cone if you like. 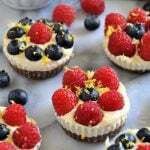 You can also serve it in lemon cups, like we did. We thought this would be really fun for a pool party, even though we don’t have a pool. Boo! We also like to dress it up and make it really pretty and elegant. Put a layer of watermelon cubes in colorful bowls. We love the combination of pink and green. 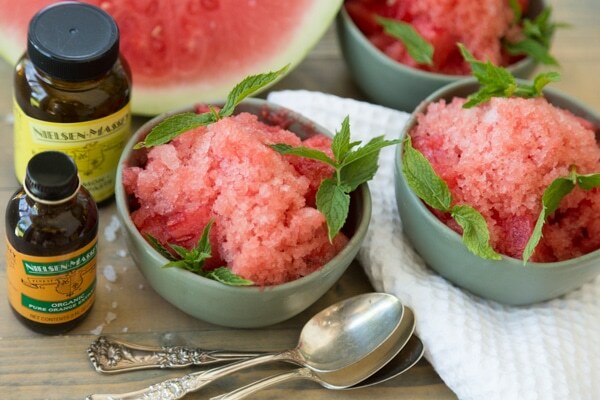 Spoon a big pile of frozen watermelon ice on top of the cubes and top with mint leaves. This frozen dessert is made with only three simple ingredients and is so easy and delicious. It’s the perfect summer treat! 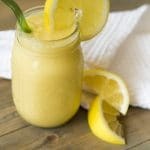 Blend the watermelon, lemon paste and orange extract in a blender until it’s completely blended into a juice. The watermelon may foam a bit, that’s fine. Pour into a 9-inch bread pan or deep baking dish, cover and freeze for at least 4 hours, overnight is best. 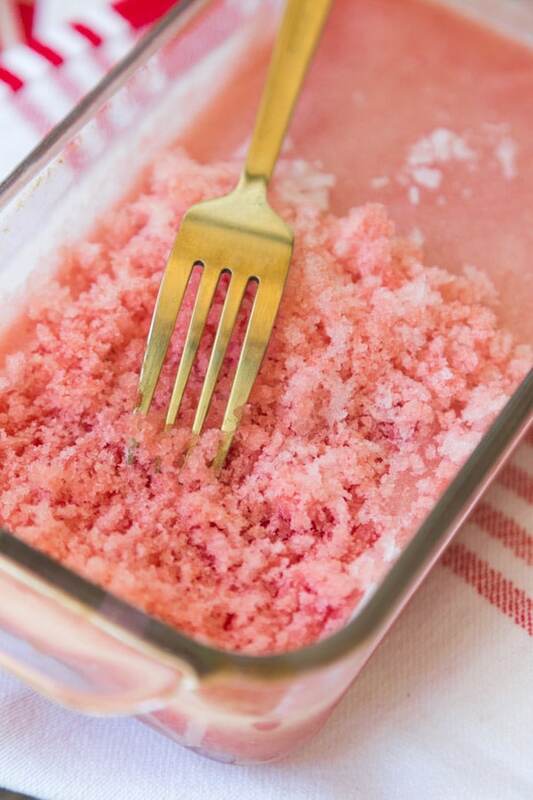 Scrape the frozen juice with the tines of a fork until the frozen mixture is light and flaky, like shaved ice. Freeze again if it begins to melt. Yum, such a simple and perfect summer treat. Watermelon and mint is such a great combo, thanks! It's so refreshing! Thanks so much, Christine.